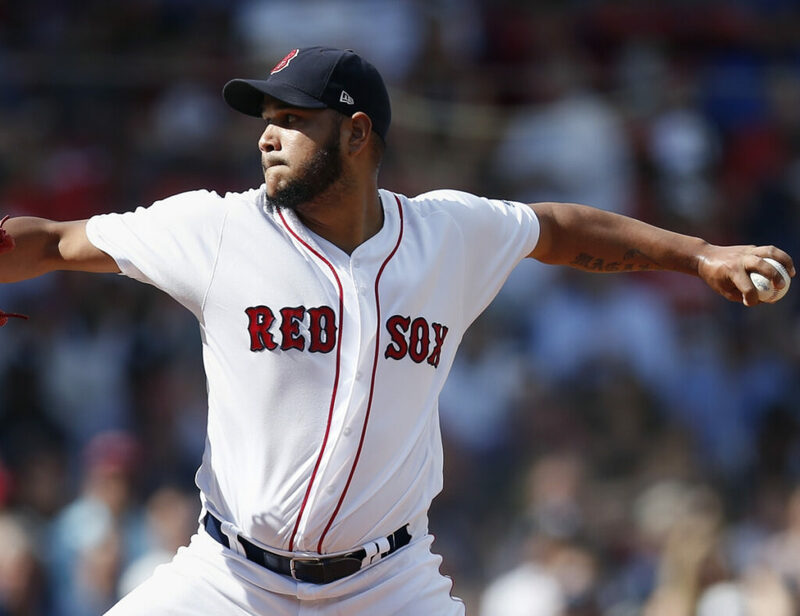 Pitcher Eduardo Rodriguez enters Boston's training camp, 'in the best shape of his life,' according to Manager Alex Cora. FORT MYERS, Fla. — Spring training is here, which means all the players are in the best shape of their lives. But really, the Boston Red Sox think it’s actually true for at least one of their players. The first official workout for pitchers and catchers isn’t until Wednesday, but after watching some bullpen sessions on Monday morning, Red Sox Manager Alex Cora noticed pitcher Eduardo Rodriguez. Rodriguez had dealt with issues in both of his knees in past years but the Red Sox are expecting big things from him in his fifth major league season. Left-hander Chris Sale stretched his arm out for a throwing session Monday morning and Cora said he looked great. The 6-foot-6 Sale checked in at 180 pounds last year but added some weight this year. The starters who pitched deep into October last year aren’t expected to begin throwing in games until early-to-mid March. Dustin Pedroia will be a hot topic this camp, but isn’t expected to arrive until Friday or Saturday.